The Bayville Shores Resort and Condominiums are located in the exotic getaway of Selbyville, Delaware DE. This resort features an impressive array of amenities and is the perfect balance between natural surroundings and luxury. 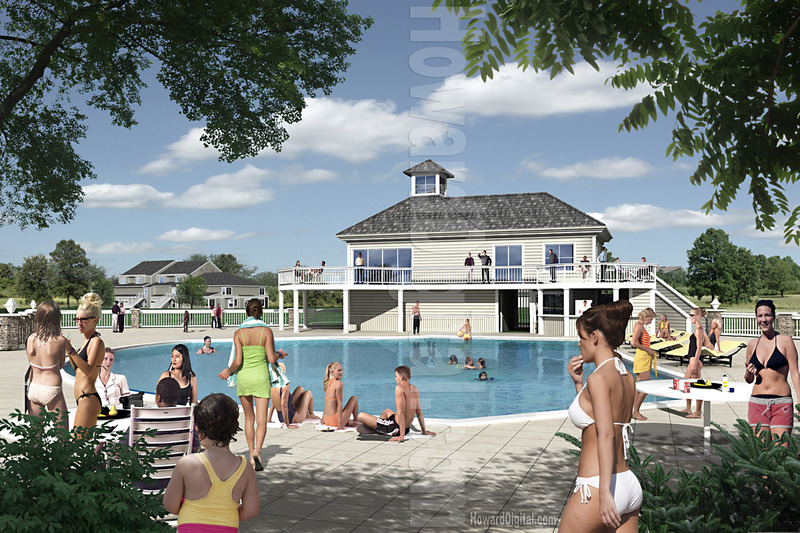 With spectacular views Bayville Shores is sure to please the most discriminating of travelers. The architectural presentation you need, Fast and afordible. Architectural presentations by Howard Digital. 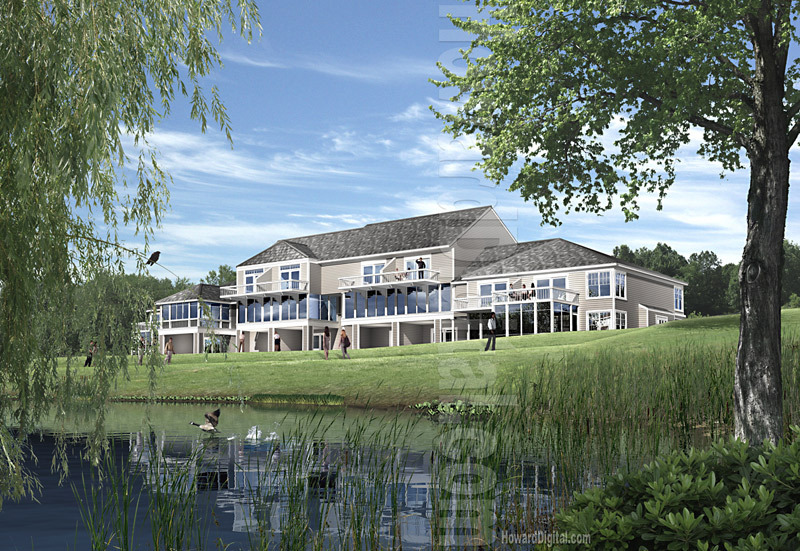 After ordering your architectural renderings from Howard Digital, we will begin 3d modeling the project and email you multiple views. You can choose from these views for your renderings architecture or give us feedback from which we will generate additional views to send you. 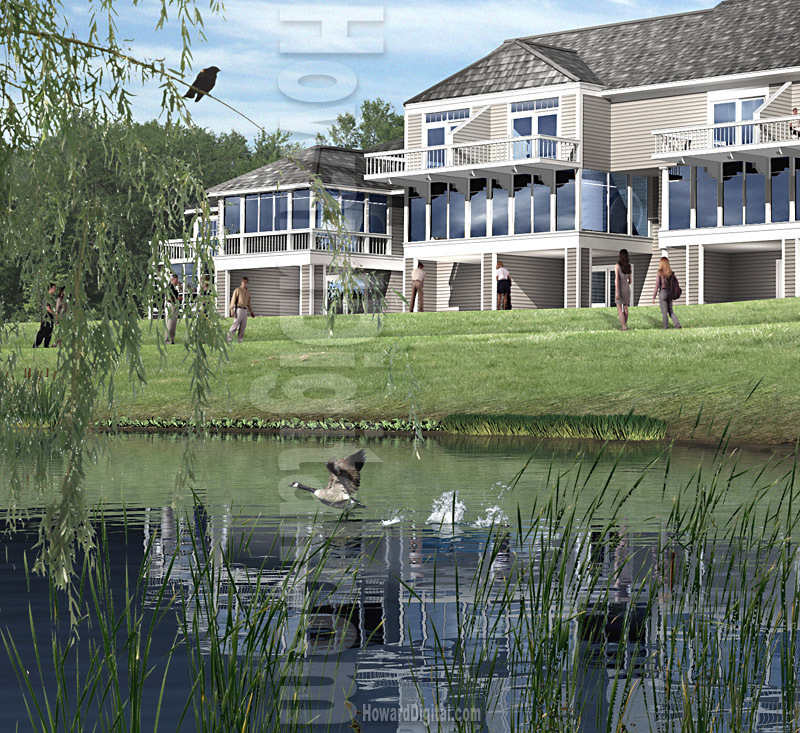 While most of our clients request the final digital renderings in digital file format - which we email or post to our ftp site, we are more than happy to print your architectural renderings out and overnight them to you.